Working with people to get the best out of their dog in whatever they are working on, be it a drop position, a heel or more advanced work is something that I love. Teaching clients how their dogs learn and why they are behaving in a particular manner is a role that I truly enjoy. When working with clients I empower them with the knowledge of how their dogs perceive their world. When you hear clients say “I was having a problem and I asked myself, what would Brent do” and they are able to come up with great answers, this is super satisfying. I love the people who we are in contact with everyday through our business and I aim to give them everything I can each time they are in a class. I also love mentoring students who are studying to become dog trainers themselves. Giving back to these keen people gives me so much satisfaction and when you see the penny drop from the theory we teach to the practical lessons that they learn is a lovely thing. I developed a love for dogs at a very young age. Having grown up with a golden retriever that used to walk down the road and meet us after school, I spent lots of my time with her, telling her all my stories and her patiently listening to me. She was also a great fielder for our backyard cricket games. I also spent a lot of time with a well trained German Shepherd that belonged to my uncle and I would sit outside with “Gungy” for hours while the “adults’ were inside solving the worlds problems. I got my first dog which was a Husky-White Shepherd mix named Saba and started dog training when I lived in Queensland. I also owned a lovely Labrador called Sophie who I did my NDTF course with. She passed with flying colours with me being on the end of the lead learning from her. 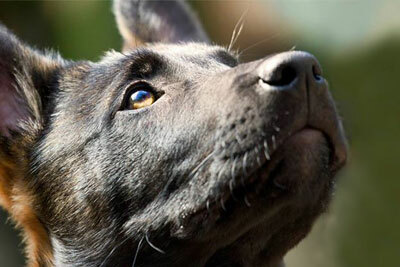 Professionally training since 2008, we have since had Rottweiler’s and I now have a Belgian Malinois called Zia. I love learning new techniques to train, different ways to motivate dogs and Zia has helped me immensely along this path. Our puppy Zia is a Belgian Malinois, a working breed that are usually found used in Military, Police and dog sports around the world. Our young girl has been nick-named Naughty, Little Devil and now just Puppy. Zia has been a tough dog to train with little food, ball or toy motivation as a puppy. This made us rethink the training techniques that we would usually use and challenged us to make sure we kept her training coming along. We were consistent with what we were teaching her, from the drop, recall and going to her crate. We also taught her to go to the car and stay in the car until released. This was often challenging for her as clients who train with us would often let us know that she had jumped out and was out exploring the world! A very different dog to Zooka! As she has matured she has improved immensely. Her training is starting to come along nicely now, her food drive is up, ball drive is high and her tug work is super. She even manages to stay in the ute for entire classes under very high distractions. We still have a way to go but we are absolutely loving the journey, that is the most important part. 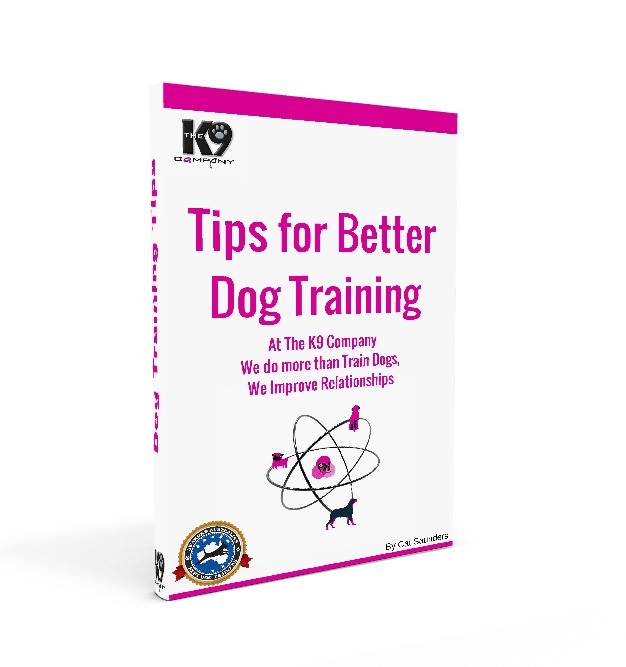 There is nothing better than helping people better understand their dog. If you need to gain a better understanding of your dogs behaviour, from behavioural issues, pet dogs, rescue dogs, to my Safe Kids & K9 program designed to help you provide a safe environment you your children or grandchildren in your home, these are the reasons I love what I do! It’s all about what is in the best interest of each individual case. 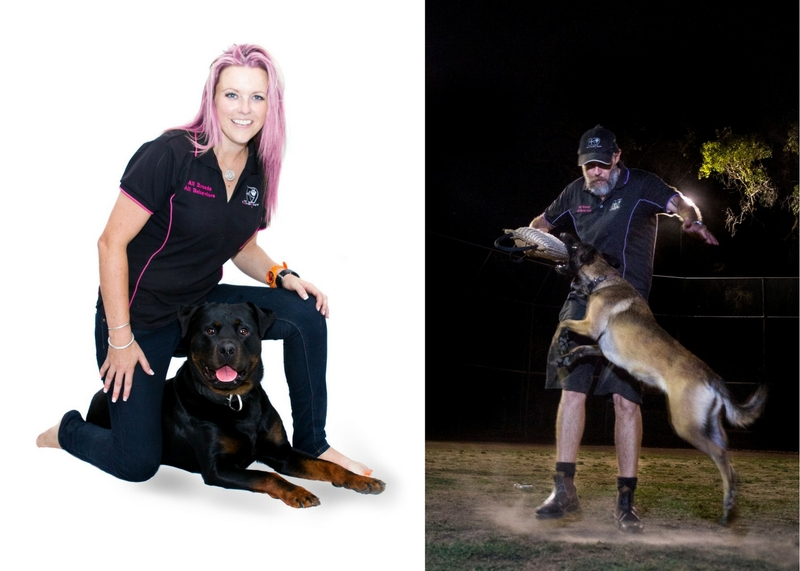 I have been working professionally with dogs for over 10 years and I love being able to help people and their dogs. If you would like help with your dog or if you run educational and training for your organisation, you can be assured that you will be uplifted and inspired with the knowledge and experience I share with you. I grew up with British Bulldogs, then travelling on the weekends with my mum to show and exhibit our Bullmastiff – Emma. I witnessed her give birth to her puppies and even had a snippet on the TV show Burkes Backyard when they featured the Bullmastiff breed. 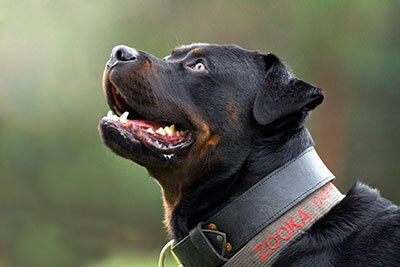 I now have a love for the Rottweiler breed and currently have Zooka as my 4 legged mate. 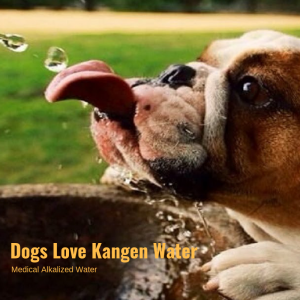 I enjoy assisting and working with dogs that have had a rough start in life and find themselves in need of a little understanding and sometimes even a new home. I love helping and inspiring people to be the best that they can be and implement change for the better. I look forward to being able to meet and possibly work with you in the near future. From the time Zooka officially came home on 8pm on a Friday night, every aspect of his interaction had been thought out & planned. His training / socialisation & habituation started from that point on & has been documented on The K9 Company’s & Zooka’s Facebook page for people to learn & follow his progress. His obedience is outstanding & is a perfect reflection of the time that has been dedicated & invested in to him. 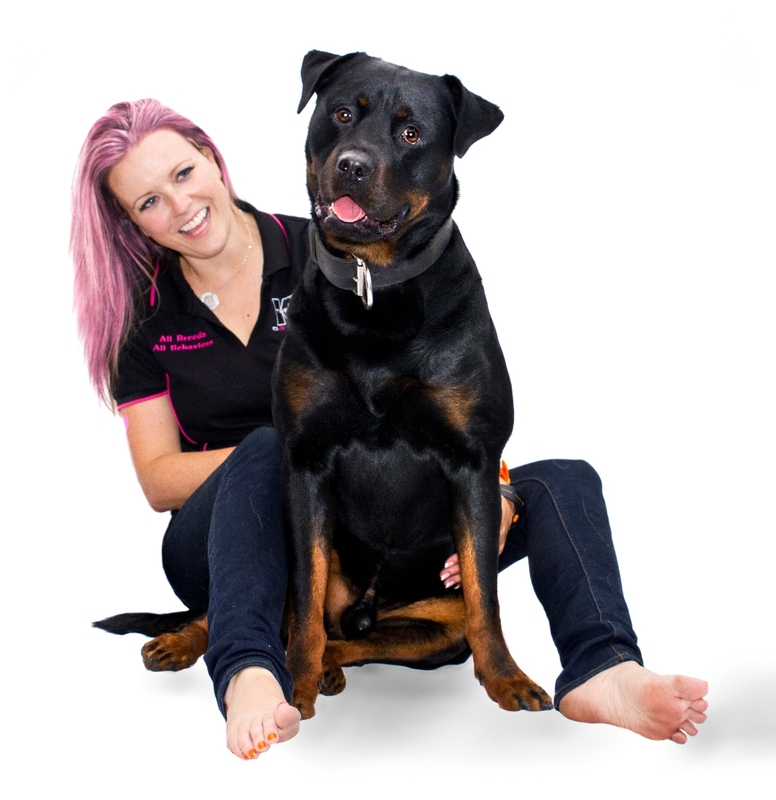 He attends all of our group training classes, puppy schools, fundraising & media events. 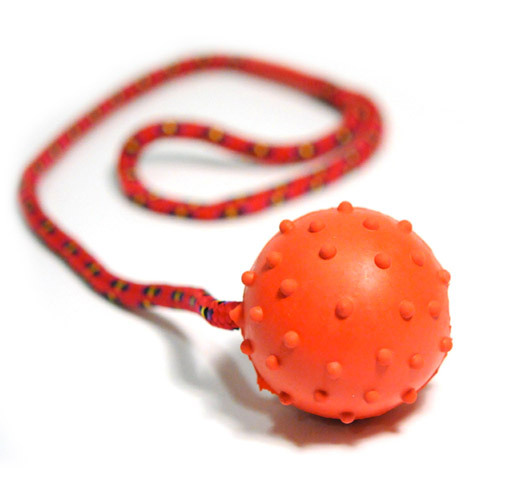 Zooka is used as our demo dog & to teach children about responsible behaviour when in the presence of a dog. He was also a ring bearer in a colleagues wedding! 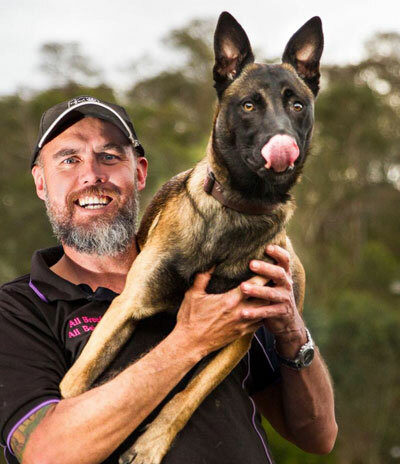 Zookas’ prey & defence drives are nicely balanced and his recovery from stress is immediate, as demonstrated by Brad Griggs (Canine Services International) at a recent NDTF Aggression workshop. I couldn’t be happier with my investment in Zooka, which includes time passion and a heap of love. He impresses all that meet him & I already have a number of clients & associates that are interested in his progeny. Zooka leaves big shoes to fill where ever he goes & is a simply wonderful specimen of the Rottweiler breed.